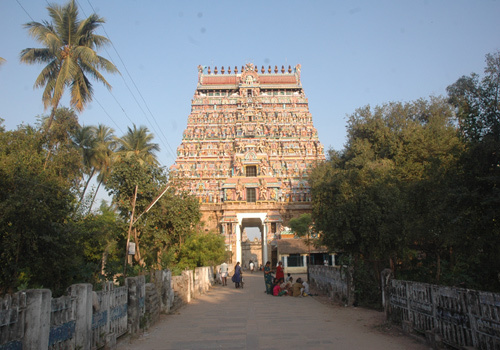 Govindaraja Perumal Temple or Thiruchitrakoodam in Chidambaram in the South Indian state of Tamil Nadu, is dedicated to the Hindu god Vishnu. 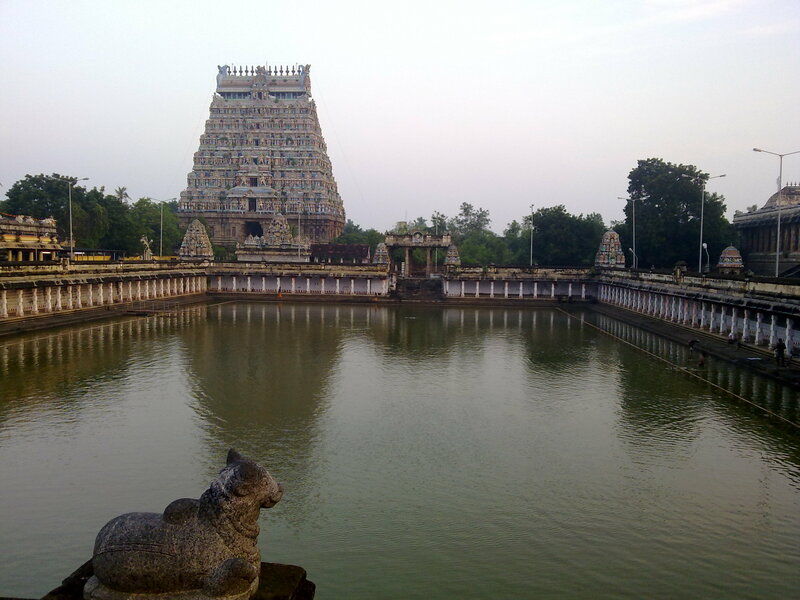 The temple is inside the premises of Thillai Nataraja Temple, constructed in theDravidian style of architecture. The temple is glorified in the Divya Prabandha, the early medieval Tamil canon of the Azhwar saints from the 6th - 9th centuries AD. It is one of the 108 Divyadesam dedicated to Vishnu, who is worshipped as Govindaraja and his consort Lakshmi as Pundarikavalli. 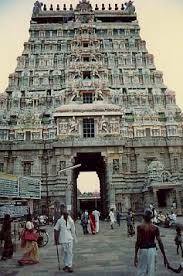 The temple ranks among the 108 Divyadesas of Lord Perumal. Lord Brahmma with His four faces generally appears in a sitting posture on the naval chord of Lord Vishnu, here He appears standing. Of the Panch Bhooda Sthalas , Space-Akash, Fire, wind, water and prithvi the earth this place belongs to Akash. Lord Perumal is facing Akash. The Vimana above the sanctum sanctorum is called Sadvika Vimana. Procession deity Devadhi Devan is in a sitting posture with Mothers. Another procession deity in a standing posture is with presiding Lord near His feet. Lord Govindaraja is in a separate temple with His flag post in the temple known as Chitra Sabha. Standing in the front mandap, the devotee can have the joint darshan of Lord Nataraja, Lord Govindaraja and Lord Brahmma on his the naval chord simultaneously. This Shiva-Vishnu-Brahmma darshan is available for the devotees in this temple only. As Lord Narayana poses as Nila Thingal Thundan perumal having inside the Ekambareswar temple premises in Kanchipuram, here at Chidambaram one of the very big Shiva temple he poses as Govindarajan near Lord Natarajar Sannadhi.The Mountain "Chitra Kooda Malai" was in North India near the Prayagai. In this very place only Lord Rama Stayed while he was sent to the forest and left his pregnent wife Sitadevi.While he came searching for his wife who was taken away by Ravana, Lord Rama found this place in South India and compared it's beauty to Chitra Kooda in North India. The Govindaraja shrine is dedicated to Vishnu and is one of the 108 holy temples of Lord Vishnu called divyadesam, revered by the 7th-9th-century saint poets of vaishnava (those worshipping Lord Vishnu) tradition, alwars. Kulashekara alwar mentions this temple as Tillai Chitrakutam and equates Chitrakuta of Ramayana fame with this shrine. 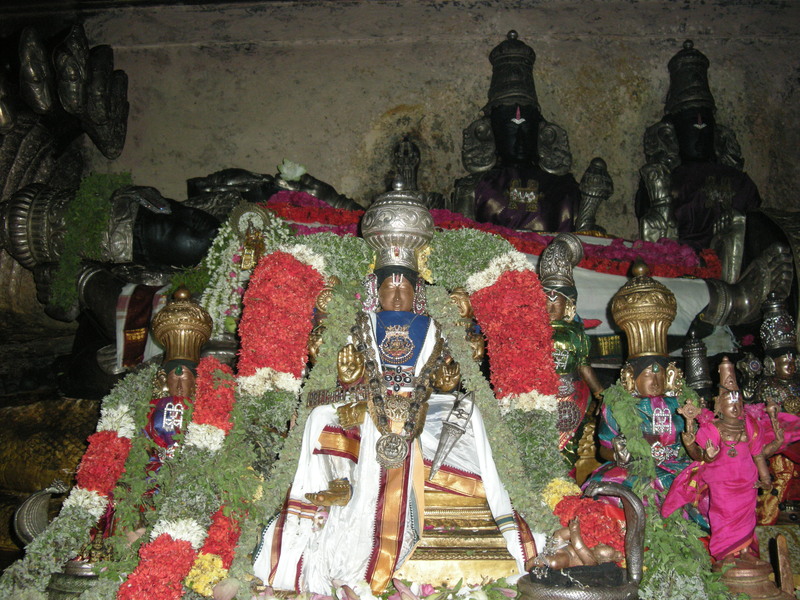 KingKulothunga Chola II is believed to have uprooted the presiding Govindraja image from the shrine. The shrine has close connections with the Govindaraja temple in Tirupati dating back to saint Ramanuja of the 11-12th century. Thirumangai alwar found Govindarajan to be still like a portrait or picture enchanting himself in the stunning dance of Lord Nataraja here at Ponnambalam - Chidambaram. So among the 32 Paasurams he composed, the first 10 are of the ("Shankarabaranam Ragam") "Raga: Shankarabaranam" the favourite raga of Lord Shiva.It's been said that the 3000 Brahmins of Thinai, Paanini, Padanjali and Vyakrapadha Maharishi had the vision of Lord Shiva's dance along with Lord Govindaraja and got both the lords blessings.